By Jim Boyce | One year after bar veterans Ah Jin, C.J. and Jack Zhou—collectively known for spots like Shooters, 1F, The Bar and Groovy Schiller’s—opened their new place, Herbal, with design by Glenn ‘Pop-Up’ Schuitman, change is under way. 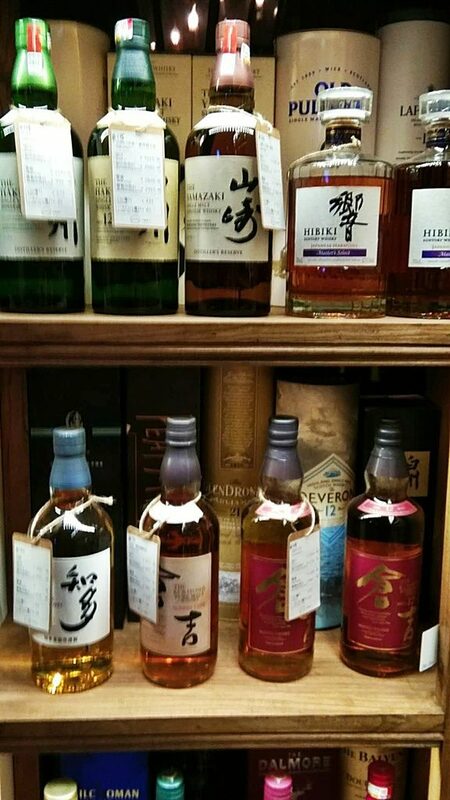 Last night Ah was putting the finishing touches on a whisky shop that he created out of one of the front private rooms. Customers have about 100 options they may order in amounts ranging from 20 ml samplers to whole bottles, with discounts on takeaway orders or members, with the system like that at Straight Spirit. Anyway, the list leans heavily to Scotland and Japan, with a smattering of other nationalities represented. 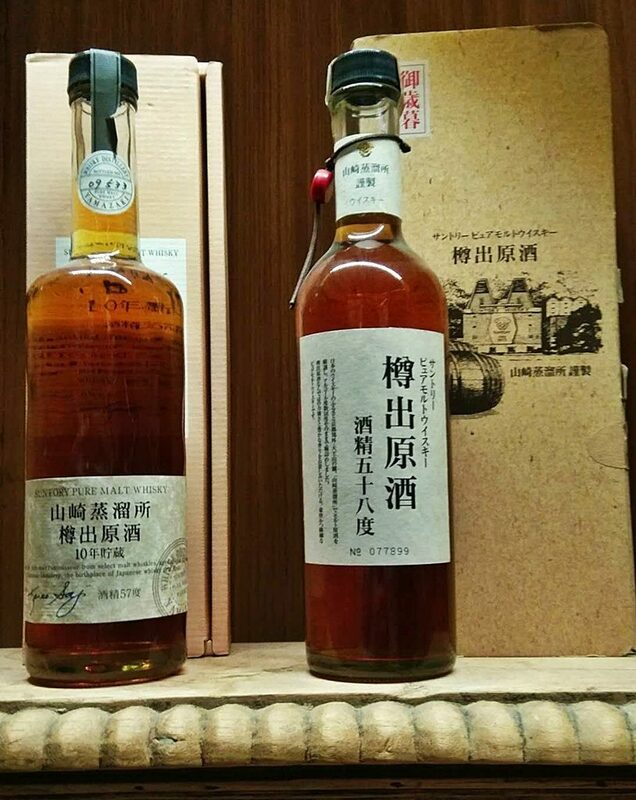 For those who now find Japanese whisky pricey—and prices have skyrocketed from a few years ago —you can give them a try as samplers! 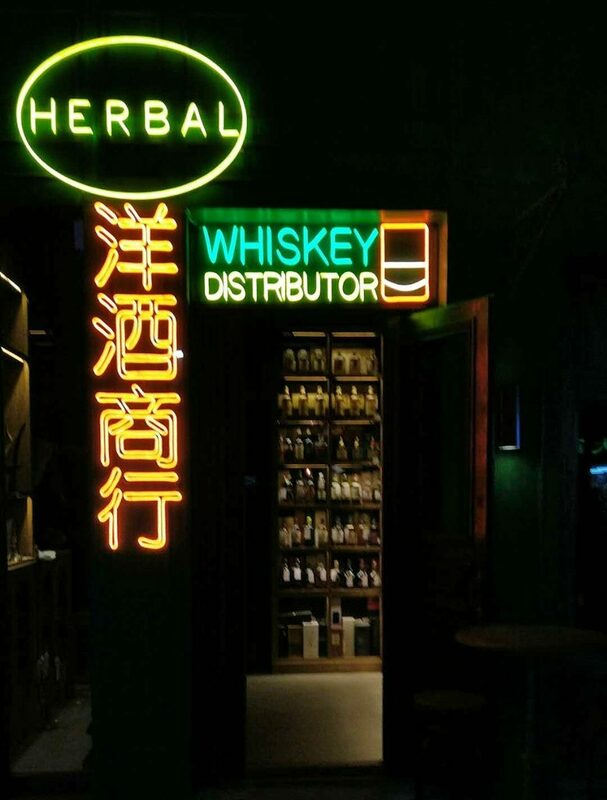 Herbal focuses on cocktails that use Chinese medicinal ingredients and is beside XL, just off Xindong Road. A woman walks into a bar and orders three drinks. The bartender offers to bring them one at a time but the woman insists on all three at once. “It reminds me of having a drink with my two sisters who live so far away,” she says. She does this every day for a year, ordering and finishing three drinks. Then one day, she arrives and only orders two drinks.